More than decades ago Syverson Ground Services was started and we have proved that hard work and perfectionism pays off. We have been and still are the premiere company that has and still does set the bar of how lawn care and general ground maintenance should be done. By having a work ethic we are able to put quality, pride and precision in our work. Where we believe that quality, pride and work ethic still exist!!! We are looking for that professional; doctor, your neighbor or friend that doesn't have extra time for lawn care or snow removal and is looking for a company to take care of all their ground maintenance needs. 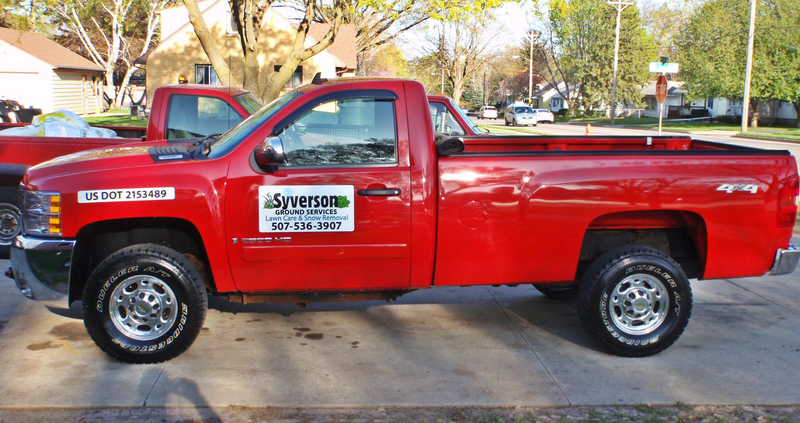 At Syverson Ground Services we provide spring & fall clean ups, lawn care maintenance (1 time or seasonal). Owner & Head of Syverson Ground Services. Serving the Rochester, MN and surrounding areas with professional grounds services for over 20 years.